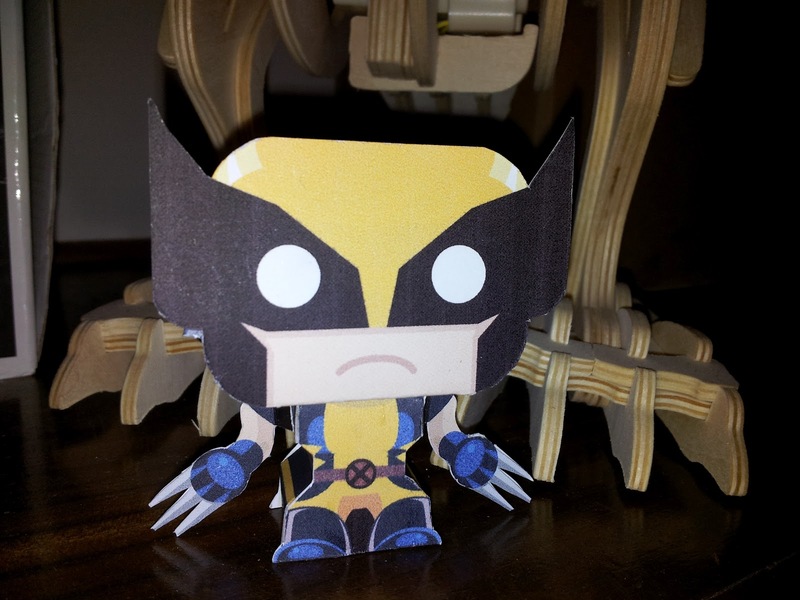 Paper wolverine appears to be a little sad about something. Maybe because his claws are so much smaller than robot-skeleton-t-rex's? I made this paper toy from one of the patterns available at the Mini Papercraft blog a little while ago and have realised I never shared a picture of him. Fixing that today. Parts were a little fiddly to cut out with an x-acto knife but I love the results. The newest one there is Batman. I will absolutely be making one of those in future. I'll be doing a lot of house-moving in the next week but I'll try to post at least once or twice! Yes, yes it is. Remote control and reacts to clapping commands too.